John Fante, Charles Bukowski, Raymond Chandler ? I am a musician, turned writer. The moment I took pen to paper came when I read the first page of John Fante’s 'Ask The Dust' and realised Fante had stolen the idea for his opening pages from Knut Hamsun’s 'Hunger'. If he can do it, I can do it too–that was my thinking. I make no apologies for publishing a first novel! 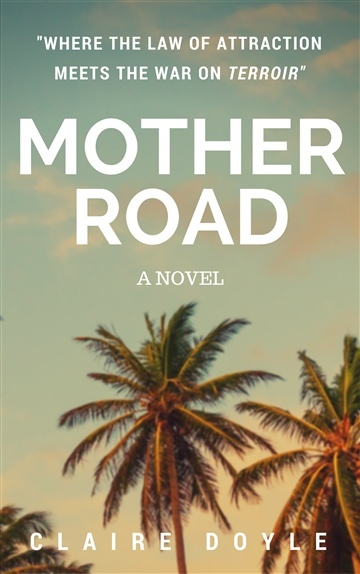 I learnt a lot from writing 'Mother Road'. I remember my first writers’ meeting–an Arvon Foundation week around my fiftieth birthday, when I couldn’t show my writing to the tutor! A breakthrough was winning a free read from The Literary Consultancy afterwards–thanks Arts Council!–where I received a nine page critique from published novelist Amanda Smyth. It was the greatest advice and helped to overcome a crippling lack of confidence. I joined the second year of the creative writing programme at The Writers’ Place in Brighton, Sussex, UK some time after that and, by then, I had realised it wasn’t about me–it was about the writing. I even managed to pitch to agents at Winchester Writers’ Festival and had a little interest which fell through. When I heard an author say it took her twelve years to get her first novel published, I realised time was not on my side and directed my energy towards being an indie author. I live in Budapest, Hungary right now. In part, to help to write my second novel, The Artists’ Club, but I’ve also wanted to live here for a long time–ever since I visited central and eastern Europe many times during my musician days and whilst I studied for a degree in ethnomusicology at Goldsmith’s College, London. I love the dance house, or táncház in Hungarian. I’m fortunate to live five minutes walk away from a regular Friday club in downtown Pest. My favourite musicians come from Magyarpalatka. My favourite writer, and biggest influence by far–John Fante. In particular, 'Ask The Dust' but also 'Dreams From Bunker Hill'. And how can you love Fante without Bukowski? I love those guys. I love those writers from the west coast and I love film noir. When I'm not writing or going for a walk, I'm trying to learn Hungarian folk dancing. Or trying to speak Hungarian. Sometimes both at the same time.